developed by Dr. Janusz Jamrozik and colleagues from the University of Guelph and the Canadian Simmental Association. Dr. Scott Speidel at Colorado State University, Dr. Bruce Golden (Theta Solutions), and the genetics team at International Genetic Solutions (IGS) (Lauren Hyde, Wade Shafer, Mahdi Saatchi, and Steve McGuire) worked together to incorporate the new methodology into the IGS evaluation. The new stayability evaluation includes data on animals of varying breed composition, directly incorporates genomic data, produces true accuracy values and provides Stay EPDs to all IGS partners on a common base. 1) Multi-breed stayability. As mentioned, the new Stay EPD is calculated for all cattle in the database (not just for purebred and fullblood Simmental, as it was in past evaluations). 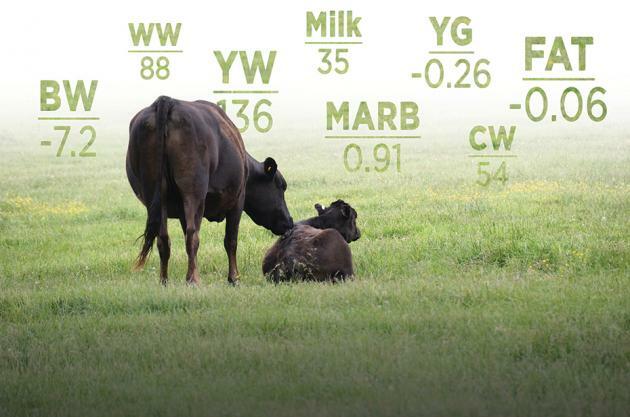 The calculation of EPDs in this fashion required the new evaluation to account for heterosis, which can be sizable for a trait like stayability. Because stayability has a major impact on profit, having Stay EPDs on all cattle will substantially improve the ability of the All Purpose Index to predict differences in profit on hybrid and cattle of other breeds. 2) Direct incorporation of genomic data. This evaluation represents the first time “Single Step” methodology has been used in the beef industry on a large database. The innovative approach refers to DNA marker results being incorporated directly into the genetic evaluation, rather than being incorporated post evaluation or as a correlated trait. Single Step is widely accepted as the most powerful means of leveraging DNA for genetic prediction. The use of a Single Step approach on a large database (the largest in the beef industry) was made possible through the use of BOLT, ASA’s revolutionary new software developed by researchers Dorian Garrick and Bruce Golden through Operation Quantum Leap. 3) More “accurate” prediction of accuracy. Prior to BOLT, the calculation of EPD accuracy was relegated to using indirect methods that were very imprecise, which commonly resulted in calculated accuracies being a poor estimate of the EPD’;s true accuracy, i.e., an EPD assigned a high accuracy may have truly been a low accuracy EPD and vice versa. Until the development of BOLT, the direct calculation of accuracy was thought to be impossible on a large database due to computational limitations. 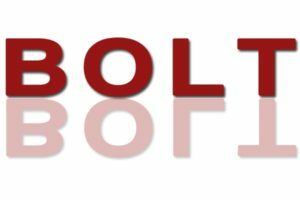 By leveraging statistical methodology unique to genetic evaluation and cutting-edge computer programming, BOLT calculates accuracy directly, thereby making it a much more “accurate” estimate of true accuracy. Because the indirect methods used prior to BOLT tended to overestimate accuracy, you will notice that the accuracies associated with our new Stay EPDs will tend to be lower than the accuracies calculated in the prior evaluation of stayability. This does not mean that we are predicting stayability less accurately than we did in our previous evaluation–in fact, due to BOLT’s ability to leverage phenotypes and genotypes more effectively we are actually predicting stayability with considerably more accuracy–it does mean that the published accuracy is now a better gauge of how much confidence you should have in an EPD. This fact will help seedstock and commercial producers better manage selection risk. 4) Change in base. Breeders will see significant movement in Stay EPDs from previous evaluations, not only because of improvements in methodology, but also because of a change in base. However, changing the base does not affect the ranking of cattle; it simply shifts all EPDs up or down by the same increment. For a point of reference, in the prior evaluation 21 was the average Stay EPD on purebred animals born over the last 2 years, where the average on the same animals is 11 under our new system.